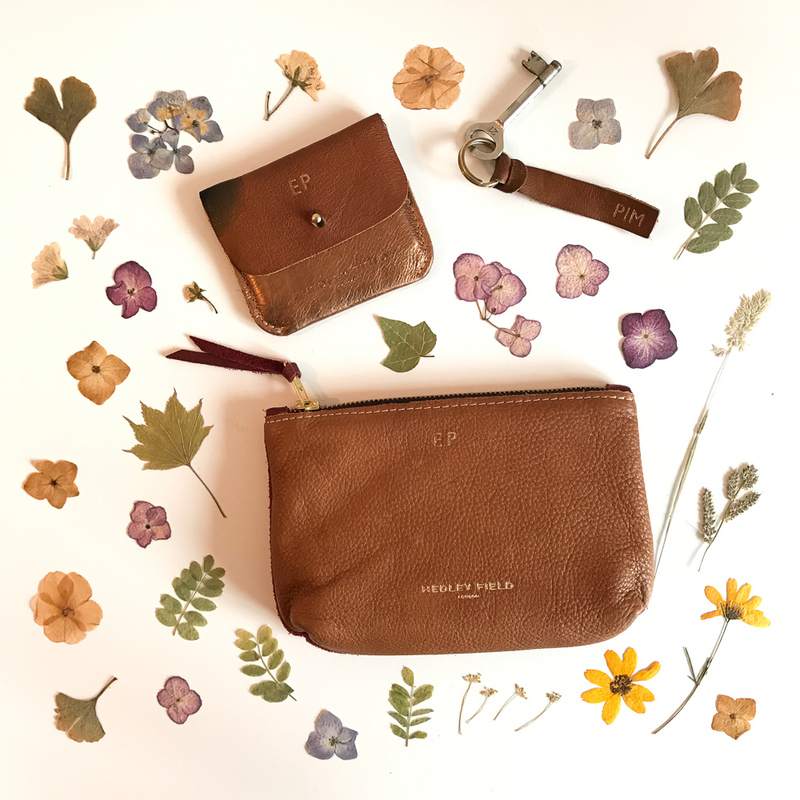 We all love the baby and toddler shoes of Amy + Ivor (nowadays you can find these under the umbrella brand Hedley Field), but did you know that Alice (who is the owner and creative soul behind the brand), also makes the most beautiful leather accessories? Alice works with the softest, most beautiful and carefully sourced vegetable tanned eco-leather, and started to make pretty little accessories out of some of the leather she had left over from making her beautiful baby shoes. And voila — this was the start of Hedley Field. Now, Alice offers a collection of gorgeous handbags, pouches, key rings, and card/coin purses. They come in an array of beautiful colours and styles, and can be personalised with a name or monogram. I have had a little Hedley Field card purse for a few years now and I use it all the time. I rarely carry a handbag. If I go for school pick-ups for example, I just bring my phone, my keys, some lip balm and my Hedley Field card purse and stick it all in my pockets. This little purse is always with me! The leather ages so beautifully, it really only gets better and better over time. My Hedley Field pouch is great too. (Alice send this along as a Christmas present together with some items I ordered from her for Christmas gifts). I have a little notebook in there with a fountain pen as I love the possibility of making notes or sketches whenever I think of something relevant. This way I never have to look for my assets! It’s also a perfect pouch to bring when travelling — to keep passports, tickets, keys etc. All of my children have a personalised key fob which they love. And it is handy because as you can imagine, we have quite a few keys around for all of those bikes! Again, the leather only gets better over time. Don’t you agree these leather beauties are gorgeous and also make the most thoughtful little presents?